I don’t talk about work on this blog because work is work. 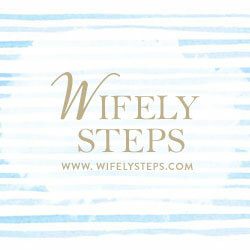 This blog is therapy for me. Work is not therapy. BUT that doesn’t mean I don’t like what I do. People close to me know that I love what I do for a living. I came across this very interesting blog entry written by Russell Davies, an Account Planner. In this entry, he shares his own views on what kind of person you need to be, to be a planner. He’s quite a popular figure in the blogosphere. Russell even has his own “Planning School on the Web” which contains articles, tips and stories on account planning. I was amazed by the number of planning blogs online! Now if only I had the time to go through them all. This quote in the picture is a comment from one of his readers. I have that quote posted by my workstation. When I’m in a work rut, that quote gives me the inspiration and encouragement I need. Thank you Mr. Davies and thank you Sylvain L.
Wow! I love this. Thanks. 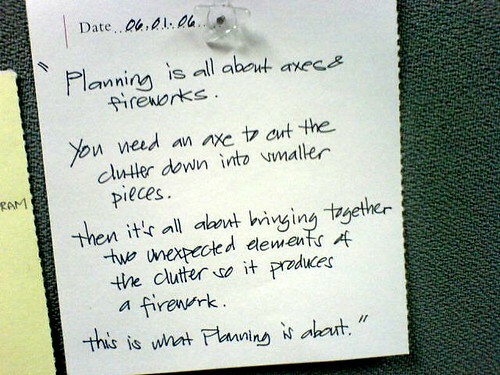 I will plan towards turning my clutter into fireworks. Fireworks are about celebration to me. Clearing out the clutter will lead me to a life of celebration!